My godmother has had Type 1 diabetes all her life. I was always fascinated by her insulin pumps, regular skin pricks to check her blood sugar levels, and all of the effort that went into managing her disease. As an adult, I admire how she has accepted her condition and worked all her life to stay healthy. Diabetes is a challenging disease that is affecting a growing number of people around the world. Although some people are born with diabetes (Type 1), you can also develop it later in life (Type 2) or during pregnancy (gestational diabetes). In all cases, diet plays a very important role in managing the condition so that it doesn’t escalate or cause further complications. In this article, I’ll share a number of recipes that are optimal for those managing diabetes, and take a look at some of the most helpful cookbooks out there to help maintain a healthy lifestyle through your home cooking. Feel free to skip right ahead to see current prices and reviews on Amazon of the cookbooks, listed below. The simple version of diabetes is that the body struggles to maintain normal blood glucose levels (which a healthy body does insulin production), putting sufferers at risk for a number of complications. Although managing diabetes requires a variety of interventions, a healthy diet plays a very important role. Eating for diabetes means avoiding simple and starchy carbohydrates, especially sugar. The good news is that the basic principles of a healthy diet for diabetes are the same as what nutritionists and doctors recommend for everyone: a diet rich in vegetables and fruits, fiber, whole grains, healthy animal proteins; and low in saturated fat, empty calories, added sugar, and processed foods that contain hidden sugar. Here are some recipes to get your started on your healthy diet! Breakfast can be a difficult meal for diabetics. Eating breakfast is important so that your blood sugar doesn’t dip too low, but many breakfast foods are high-carb (bagels, etc). A smoothie is a great way to get a balanced meal while avoiding some of the carb traps. 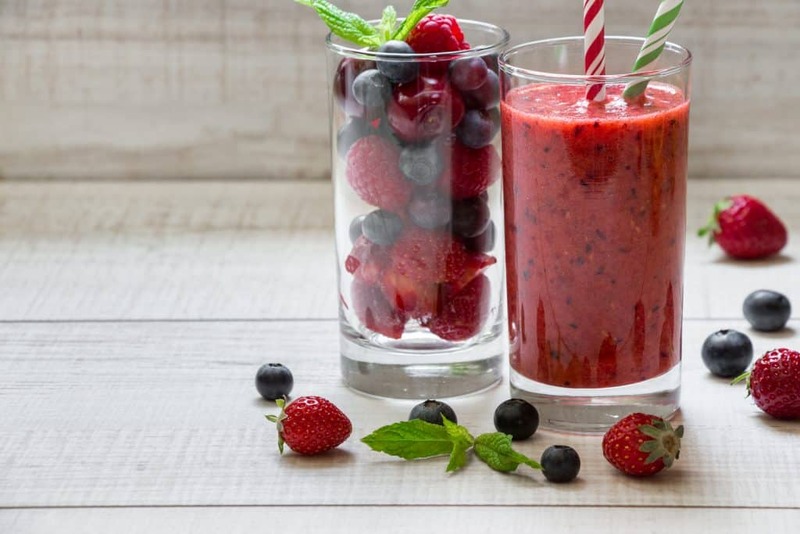 There are actually 7 different smoothie recipes in here, contain ingredients like Greek yogurt and nut butters to give you lots of energy for your day. I particularly like the sound of the Spinach Apple smoothie—I love the tart jolt of apple to get me going! Snacks can also be a challenge for diabetics. Small snacks throughout the day can help keep the blood sugar levels steady, but many snack foods are just junk, so it’s a good idea to make your own. 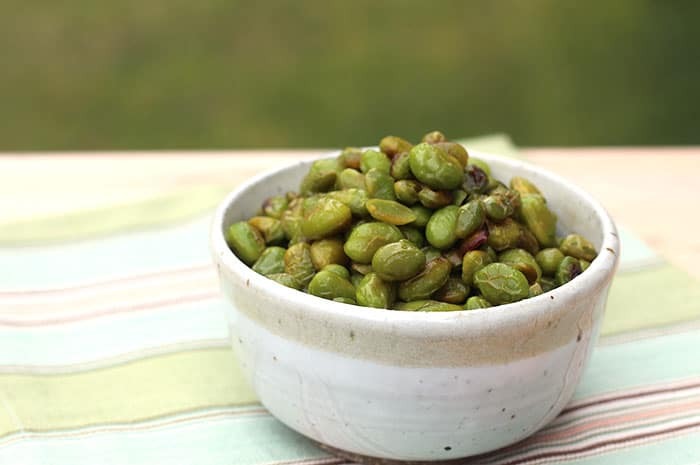 To make this flavorful snack, you toss the edamame (soy beans) in honey and wasabi powder. (If you can’t find wasabi powder, you can order it on Amazon). After coating the edamame, you toss them in the oven for about 15 minutes, and then you have a protein-rich, tasty snack to eat now or later. This salad looks just lovely and has all the components I consider essential to a good salad—hearty greens, crumbly cheese, crunchy nuts, and a light dressing. I noticed there is some sugar in the dressing. If you need to cut out the sugar for this meal, I think it’d be fine without it—there’s enough natural sweetness in the grapes and pears to give you that sweet kick. Haloumi cheese and chorizo are two of my favorite things to put on the grill. Why have I never put them together before?! This is a simple recipe that could be made as an appetizer or a main course with a nice salad on the side. One tip: soak your bamboo skewers before using them so they won’t completely burn on the grill! And don’t forget the dipping sauces! This is a great alternative to traditional batter-coated, deep fried chicken fingers. Instead of batter or breadcrumbs, Parmesan cheese and a blend of spices give these chicken strips a hit of flavor and a crispy coating. This would definitely be a kid-friendly item, too. Chinese food, especially take-out, can be high in sugar and sodium. It’s great to have some delicious and diabetes-safe recipes on hand so you can still enjoy this delicious cuisine. This recipe makes this classic Sichuan dish an easy meal to prepare at home. 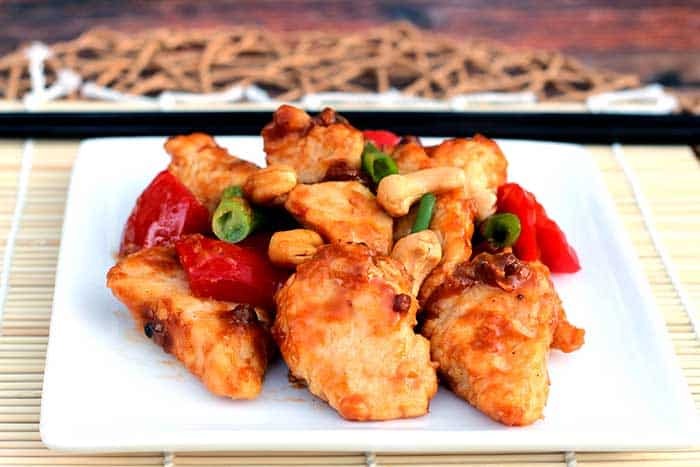 The star of this dish is the flavorful sauce, of course, and the cashews give it a nice crunch! This is a cozy, classic braised beef dish with veggies. A rich blend of spices like all-spice and clove adds flavor interest. The recipe recommends serving it over polenta or egg noodles. If you or someone you cook for regularly has diabetes, you are probably interested in having a larger variety of recipes to help you cook healthy, diabetic-friendly meals. 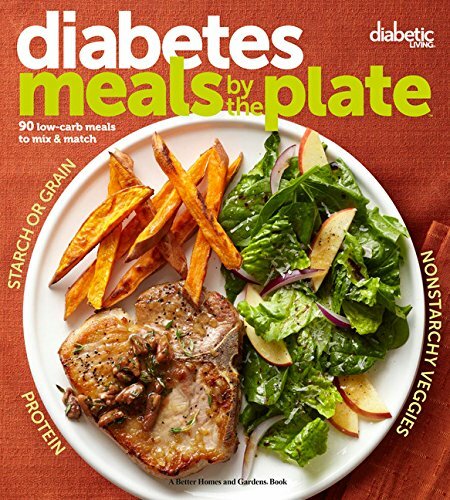 There are lots of diabetic-specific cookbooks out there. Low-carb focussed books will also have a great variety of healthy recipes. Koch writes with the aim that diabetics shouldn’t have to deprive themselves or feel they’re missing out. This book is full of familiar, delicious favorites that are tweaked just enough to be healthier than their original versions. It includes a large variety of foods covering all meals, even dessert (although beware that many of the recipes use Splenda as an alternative to sugar, which some people may be uncomfortable using). One important aspect of managing diabetes is portion control. This can be difficult when putting together a meal with multiple side dishes. That’s the niche this book fills—using the “Plate Method,” it helps you create a full meal that’s balanced particularly to suit the needs of diabetics. 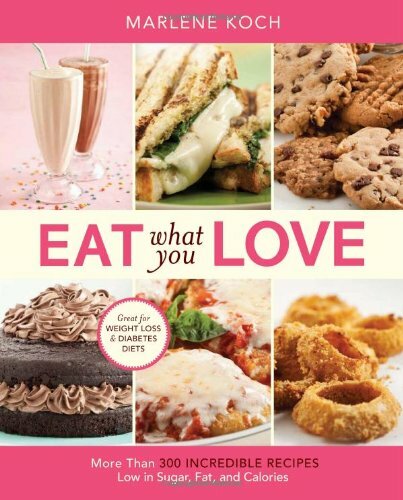 Many people find this book is just full of great food in general, diabetic or not. The Mediterranean diets is regarded as one of the healthiest diets on Earth, and it works very well for those suffering from diabetes. People find this cookbook straightforward, full of simple, healthy food and recipes that work. The books is also full of gorgeous photography from southern France where this British actor and his wife live. This is more of a total guide to managing diabetes than a cookbook alone, but it does contain a good variety of recipes. Dr. Bernstein advocates for a no-carbohydrate, high-fat, high-protein diet to manage one’s diabetes. This advice is a bit of a departure from the traditional advice on how to manage diabetes, so it’s important to consult your doctor before undertaking this approach exclusively. Nevertheless, you’ll still find a number of great recipes in here that are appropriate for managing your or a loved one’s diabetes. As the variety of recipes and cookbooks shows, having diabetes does NOT mean you cannot enjoy food. Diabetes Living Diabetic Meals by the Plate looks like a great book with delicious food for diabetics—the Plate Method is a simple way to get a handle on portion control. Mediterranean Cooking for Diabetics is also a great choice. Mediterranean food is well-known to be both delicious and nutritious; it makes a lot of sense that this delicious cuisine would be a great tool for managing diabetes. Do you or someone you cook for suffer from diabetes? What are your favorite recipes or cookbooks? For your prime ribs side dishes, this is all you need to know! 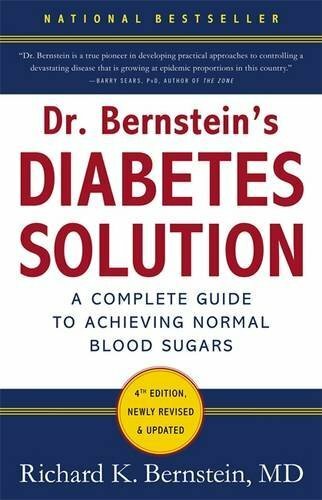 Ms. Sabrina: You rated Dr. Bernstein’s “Diabetes Solution” as Best Pick. My I ask why? It is more than a “bit” of a departure from traditional diabetes practices; it is a radical one: no carbs, high fats, high protein. That is the Ketogenic diet or very close. Keto does push lots of non-starchy veggies, but both it and Bernstein’s diet seem polar opposites to every heart healthy and diabetic book I have ever read and I’ve read a bunch. The issue is over FATS. I’ve asked four doctors in my area about a straight answer. But they know very little about nutrition; one couldn’t give me a good nutritionist in Methodist Hospital in Houston. I am truly conflicted over this. I love the Keto diet & hope Bernstein is correct, but all that fat doesn’t look heart healthy to me. So why Bernstein’s as Best Pick?